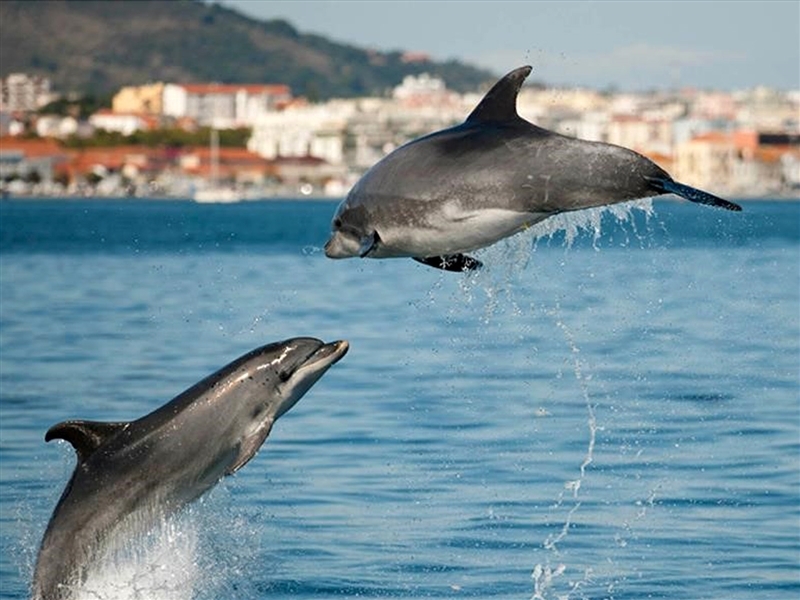 In the clear waters of the Sado River live a large group of dolphins, the famous roaz-corvineiro dolphins from Setúbal. The experitour.com team went there and watched these adorable animals in their natural habitat, click and read more about this fantastic experience! Less than an hour from Lisbon lies the charming city of Setúbal. In the middle of the Serra da Arrábida and the River Sado, Setúbal harmonizes the landscape in a unique way, while blending the modern urban with traditional Portuguese rural constructions. 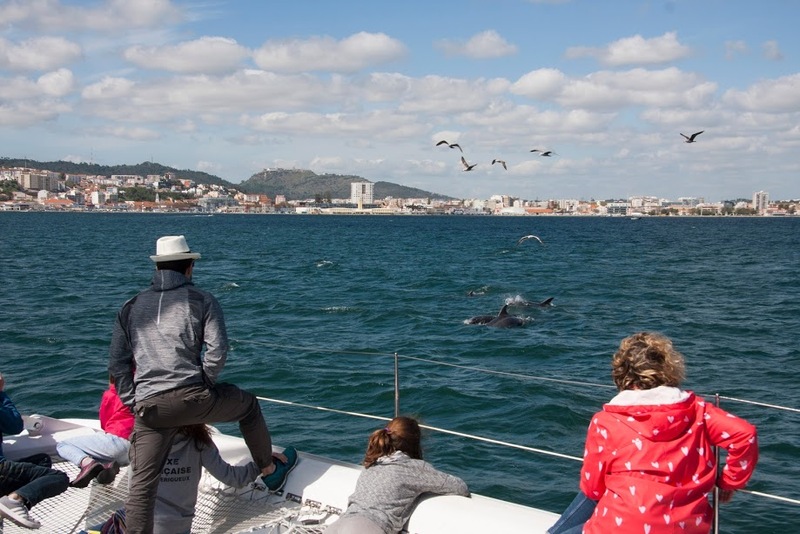 One of the main tourist activities in the region of Setúbal is the observation of dolphins on the River Sado. For many years now famous, they are of the species roaz-corvineiro, the best-known species in the world. Roaz dolphins live in the Sado River, one of the only colonies in Europe. The Sado River is home to the friendly community of dolphins at the mouth of the river, about 29 dolphins that have long enchanted browsers. It is one of three unique colonies of dolphins resident in Europe, closely followed by biologists from the region. The best way to observe these beautiful animals is by boat trips on the River Sado. The boat trips on Sado are led by experienced local guides, and the main: dolphin friends. Everyone love seeing the dolphins. Setúbal has one of the most beautiful bays in the world, and the tours start there. The boat leaves the estuary of the river Sado and sails along the coast of the Serra da Arrábida, a magnificent landscape. Whoever is in the city of Troy can also join the boat and watch the dolphins swim freely by the river Sado. The Sado River Estuary Natural Reserve is one of Setúbal’s treasures. 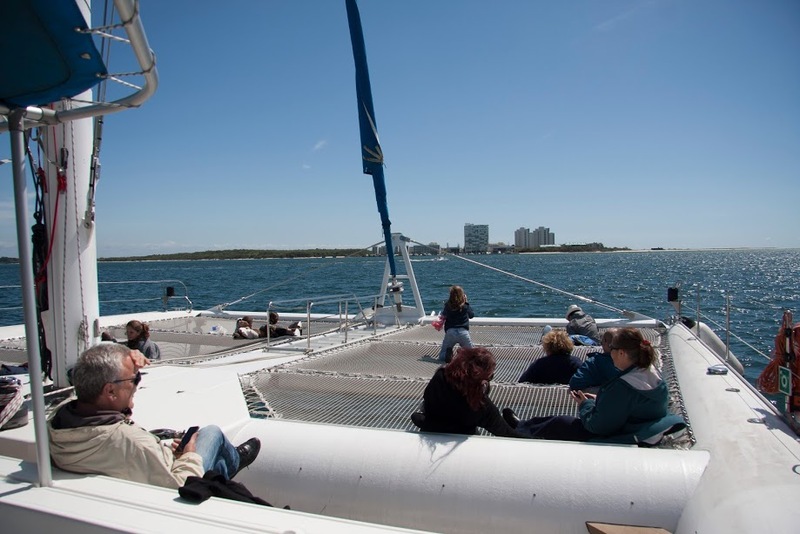 During the tour, on a large and beautiful catamaran boat, visitors can enjoy the view under the warm sun, or indulge in a drink in the shade. The captain is experienced and makes the trip almost every day, with the utmost safety. Boat sailing along the Sado river, with the city of Tróia in the background. One of the highlights of this visit is the detailed explanation and affection that the company has for dolphins. The guide and the captain speak English and have the patience and the caprice to explain the whole history of Setúbal and the Sado delfins. The guide, who also speaks French and Spanish, explains to all the groups on the boat who are each of the dolphins we see, how to identify them and call them by name. It is a lovely experience! The boat, the scenery and the dolphins! Everyone was very excited to see the delfins. Since dolphins have lived in the area for a long time, local navigators also know and respect them. In this way, dolphins and humans share the river in harmony. In addition, there are also those who like to enjoy the river Sado to dive, canoeing, SUP, among others. Come and meet the dolphins from the Sado River! Click here to see and book the tour we experienced. Click here to see all the tours and experiences in Setúbal. dolphingolfinhossadosetúbal Post written by Letícia Melo.